Creating a relationship with our patients is a big significance to us. So, we would like to share with you everything that's new in our office to assure that you are getting the best and latest dental care. 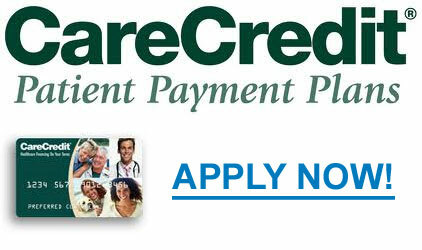 Care Credit is a wonderful way to help patients out financialy. You can now pay off your dental bills! Apply today to finance your dental bills or click here to see how it works!! We are now introducing a new and exciting procedure being practiced in our office! Three words: Mini Denture Implants! This is a minimally invasive, affordable dental implant procedure that can provide the denture stability you’ve always wanted – without the costs and time associated with full-size implant treatment. Note: Not all patients may be qualified for MDI Implants. A consultation and exam appointment is required before the initial procedure.